A new take on the original biomorphic robot. Loaded with attitude and intelligence, and now programmable with any smart device. 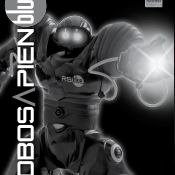 Robosapien Blue brings an exciting update to a classic brand. 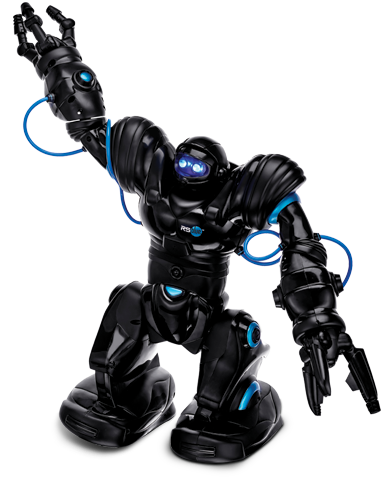 Robosapien Blue features full-function arms with two types of grippers and the ability to walk, run and turn quickly and at multiple speeds. 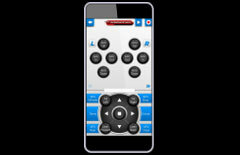 With sixty-seven preprogrammed functions and a free, BLE enabled app, you'll be amazed at all it can do. Programming is now easier than ever. 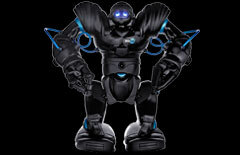 The Robosapien App is easy-to-use and gives you direct control over its arms, legs, and sound effects! 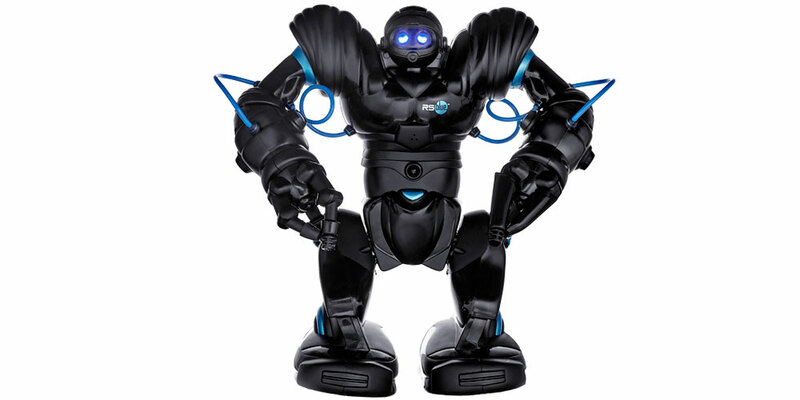 Robosapien Blue boasts fluid motions and gestures, 67 pre-programmed functions, and is fully programmable via the included R/C or with the RoboRemote app. This isn't your average bot.  With the addition of BLE technology, any smart device can control RS Blue. 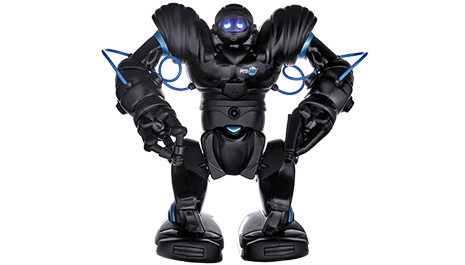 Like Robosapien Blue, Have you seen Roboraptor Blue? 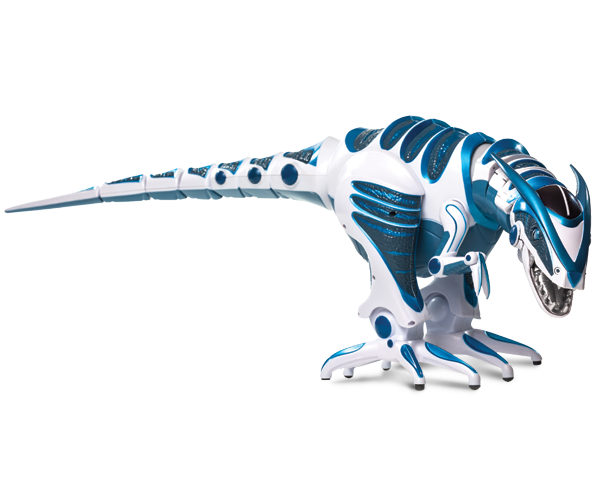 Roboraptor Blue is a fresh new update to a classic toy. We've added BLE functionality to it so that any smart device can program and control it.